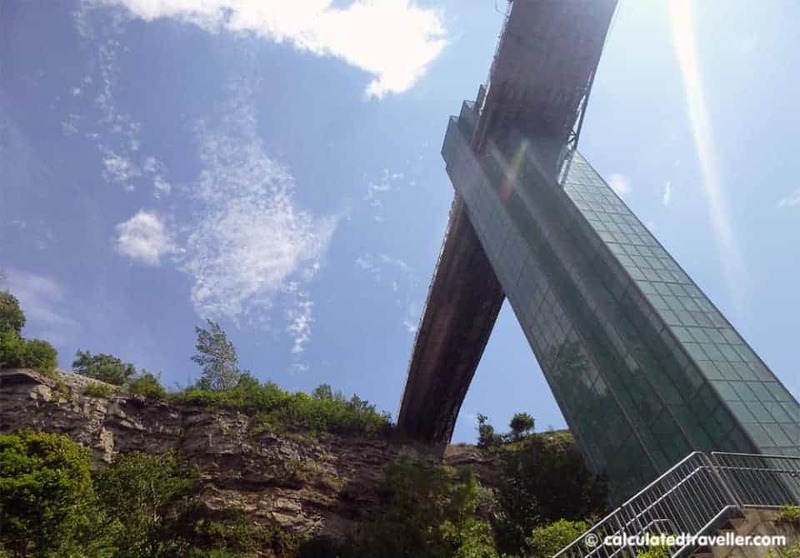 Strolling along the water’s edge and viewing Niagara Falls from a lookout is one thing but seeing the falls from the vantage point of the water itself via a boat tour on the Maid of the Mist is something entirely different. Every visitor to Niagara Falls should board a ship and sail right into the mist at least once in their life — at least that’s what I think NOW! I say NOW because up until a few weeks ago I had no idea what I was missing. All I can say is tsk tsk and shame on me for waiting so long. To explain, I’ve lived less than 2 hours away from Niagara Falls my entire life. 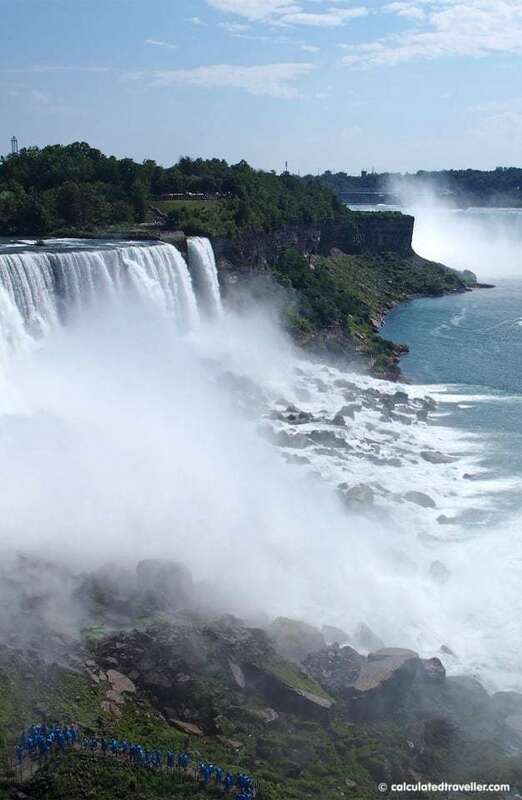 Every time out-of-town relatives would come for a visit to Canada we would make the drive, walk along the top of the Falls, take photographs of the views from the lookout point, grab a bite or perhaps picnic at Niagara Falls State Park and then we would drive home. 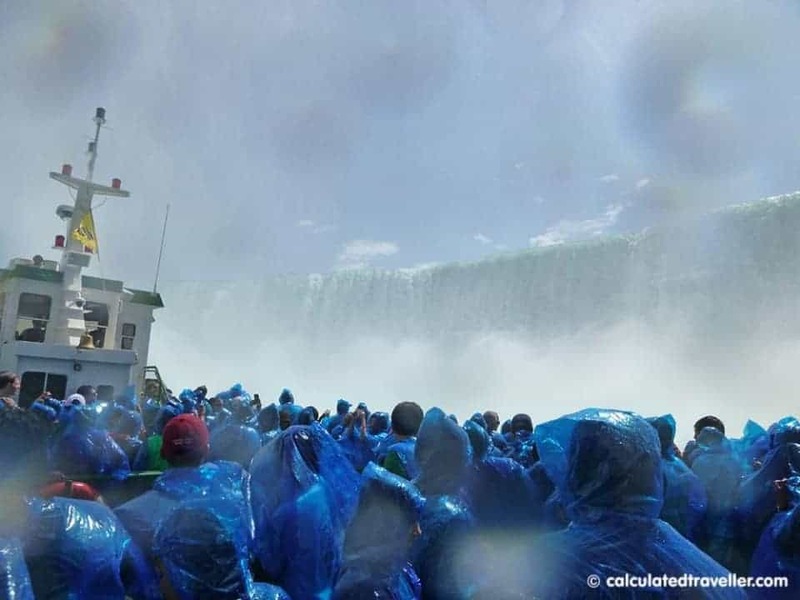 “A ride on the Niagara Maid of the Mist gives a totally different perspective of the falls. It felt like a little adventure…an amazing experience. 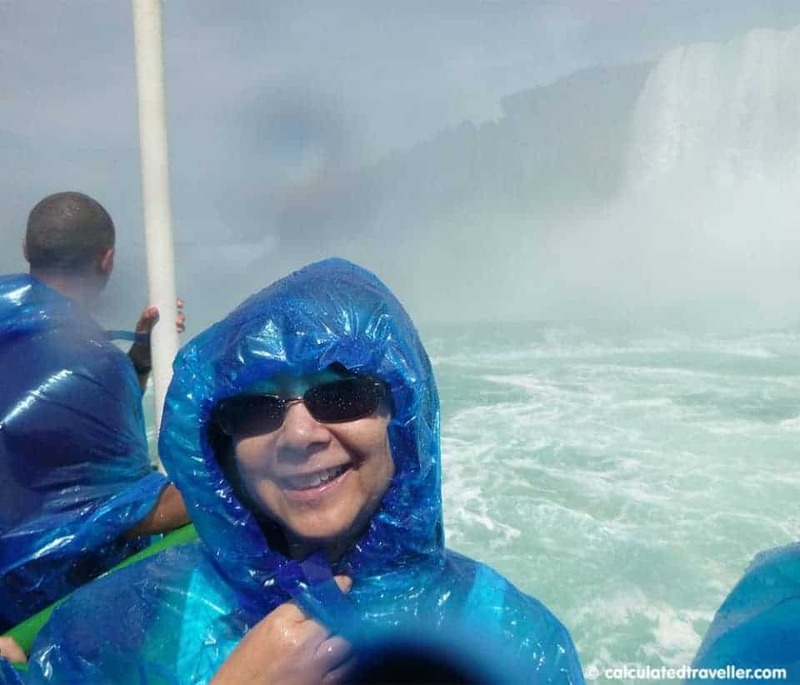 It is high on my list of the things to do when I have guests coming from different parts of the world.” — Quote by Olivera V.
I’m not sure why I waited 40+ years but my moment finally arrived and I took the plunge (pun intended) to go on one of the tours on the Niagara Falls Maid of the Mist. After getting our Niagara Falls Maid of the Mist tickets and taking the Maid of the Mist elevator down to the base of the Maid of the Mist Observation Tower the boat finally arrived and we were onboard. After a short safety announcement, the horn sounded and we were off. 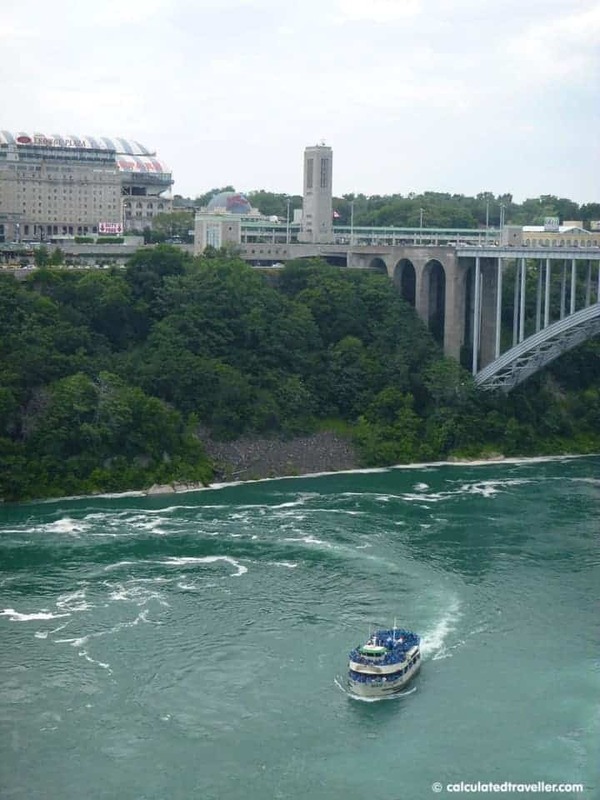 I was giddy as a schoolgirl as the boat slowly made its way on the Niagara River and steered first towards the American Falls and then towards Horseshoe Falls. All the while, the ship taking it’s time so that everyone on board can get the full effect of the deafening roar of 600,000+ gallons per second of falling water (and screams of glee) as well as the drenching spray of the mist. I felt so small compared to the force of the water but at the same time, I felt exhilarated and like a superwoman for being able to stand so close to so much power. Adventure indeed I came away laughing and full of energy as if I had just come off a roller coaster! “If you want to experience the incredible power and be engulfed in the magnificence that is Niagara Falls then you must take the Maid of The Mist tour.” — Quote by James A. 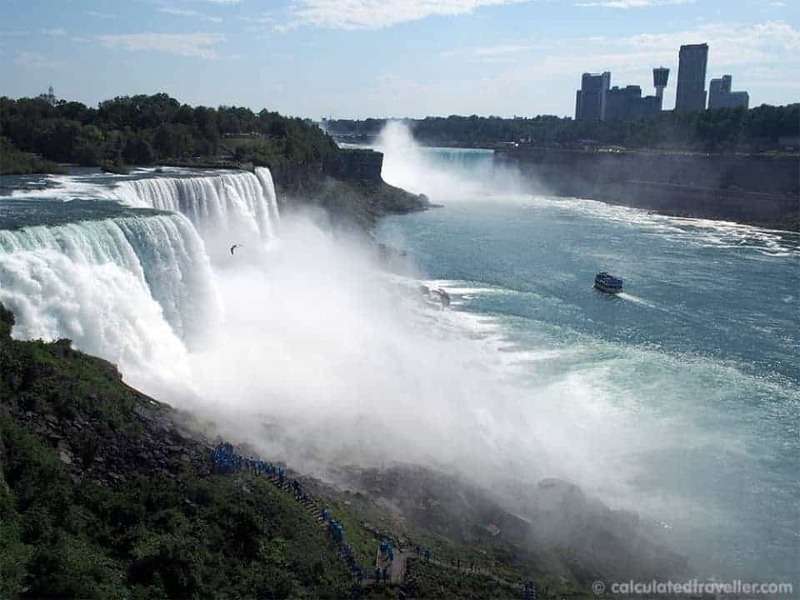 If you have NO desire to get on a boat and sail right up close with the Falls might I ask why? Is it perhaps because you feel you are a world traveller and not a tourist? Is it perhaps all the crowds? 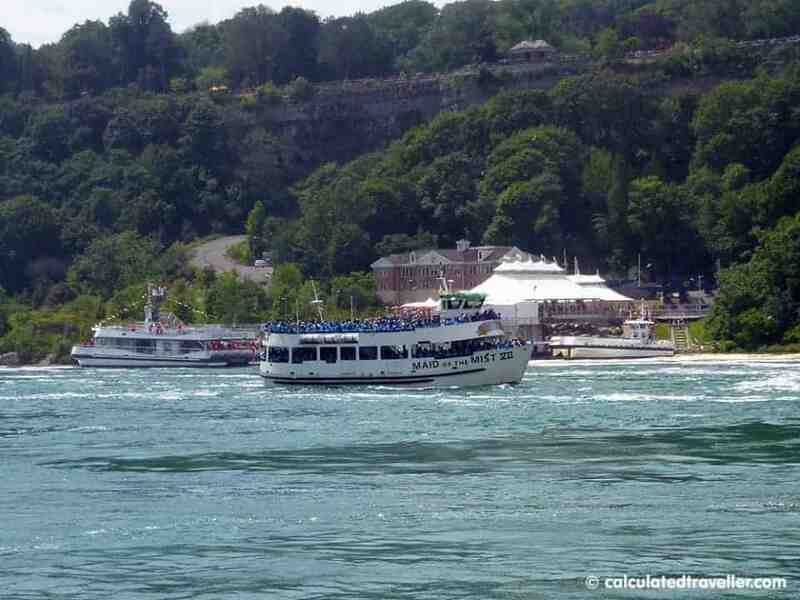 Celebrities, royalty and millions of people from all over the world have sailed on the Maid of the Mist since it started taking passengers in 1846 to view Niagara Falls. You just never know who might be standing next to you – Angelina, Brad and the kids perhaps? We saw people of all ages from seniors to babies and heard so many languages being spoken by all the various nationalities during our wait in line. Also, Maid of the Mist is wheelchair accessible. Is it perhaps the blue rain souvenier Maid of the Mist ponchos? They are included in the ticket price and aren’t just for show because you will get wet — even with the rain ponchos on my shoes were totally soaked and I couldn’t see a thing through my glasses they were so fogged up and covered with water! In fact, I could start to feel the mist on my face even as we were waiting in line for our tickets. Is it perhaps that you don’t like to see beautiful, majestic wonders of the world with your own eyes? Avert your eyes when playing this Maid of the Mist video if you don’t wish to see scenes of the beauty and power of Niagara Falls. Is it perhaps that you already have the perfect goofy photo for the Family Christmas Calendar? If after all of this convincing you still have zero interest in sailing on the iconic Maid of the Mist NY, that’s okay — fewer crowds for me because I plan on going again!! Boats run every 15 minutes starting at 9 am daily between May to October. Don’t wear designer shoes unless they are totally waterproof. Don’t put your rain poncho on until you get on the boat unless you want to sweat in the hot sun. Be ready to wait in long lines – It does move pretty quickly when you consider the number of people waiting. After the boat ride you can either take the elevator back up the Observation Tower or you can take the stairs – careful, they are slippery. Special Thanks to my friends for providing quotes of their experience sailing with Maid of the Mist! Travel assistance provided by Niagara Tourism.As always, all my opinions are entirely my own. Have you sailed on the Maid of the Mist? Share your experience in the comments below.